For a toilet to function properly, it must have a clear pipeline that is capable of carrying the dirty toilet bowl water and waste away. The unfortunate fact about toilets, however, is that through their normal use, the pipe that carries waste out of the home can often become clogged. This may happen when the excessive amount of waste together with toilet paper get flushed down the toilet. It also can occur when foreign objects that are not meant to be placed in the toilet are flushed away by mistake. For example, kids can drop toys into the toilet, and they could mistakenly become lodged in the pipe. Several approaches can be used to clean the toilet choke efficiently. First, gather all items needed. Remove the toilet tank to give you access to where the water comes from. There may already be water in there. Just make sure there is not too much water in there. But inside the toilet, there should be some water. If there isn't sufficient water to plunge, and then add some water to the bucket, be sure it's hot water. Pour that water into the toilet bowl. The point is just to make sure there is enough water in the bowl, to be able to plunge, without it overflowing the choke toilet bowl. Take the plunger and insert it in the toilet, base side downwards. Now take the plunger and insert it in the toilet, base side downwards. Make sure the base is to the bottom of the toilet, lined up with the hole. The point of this is to form a tight suction between the plunger and drain. This will aide when it is time to plunge. Next push down firmly and pull up, steadily and rapidly to loosen up the choke toilet bowl. This should be done until the gunk from the choke comes up. This is confirmation that the plunging is operating. Go on plunging until it seems the choke is no longer there. Bleach can be poured into the toilet at this time. The toilet ought to be flushed every day. That is the only way to eliminate the choke lavatory bowl. Rinse off the plunger and keep away equipment used. You should eliminate the gloves and make sure to scrub the hand after the process. Dealing with a clogged toilet can be the messy business. As a first step, you should shut off the water valve that supplies water to the toilet. This will prevent additional water from filling the bowl and spilling onto the floor. You should also clean up any water that has already spilled onto the floor to prevent the possibility of experiencing water damage. Some homeowners may decide to try to clear away the clog on their own. Both plungers and snakes may be effective at removing some chokes, but these can indeed be messy to deal with. This is particularly true if the water level in the bowl is high, and any movement of the water may result in dirty water spilling onto the floor. Even if you choose to clear away the clog on your own, your efforts may not be successful. Some clogs are too deep in the pipes or to significant in size or composition to be affected by these basic efforts. 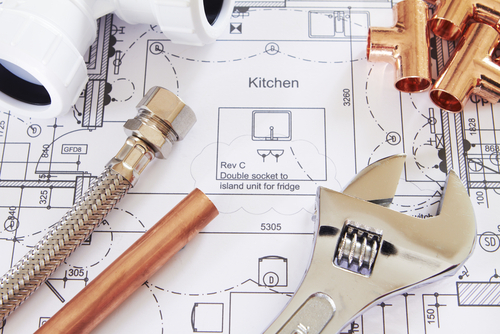 An easier solution may be to call a plumber for assistance. A plumber can provide you with expedited service for both minor and major issues. Most plumbers will utilize a commercial-grade snaking device to clear away chokes. 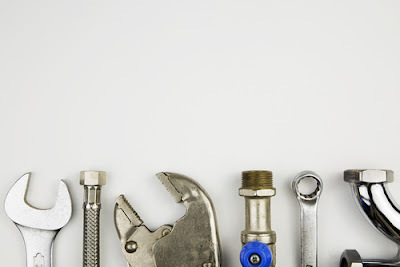 Whether the clog is located just inside the pipe or several feet down the line, you can rest assured that plumbing service can resolve the issue. Many toilet clogs are also caused by putting an excessive amount of debris into the toilet or by putting the wrong type of debris into the toilet. Some unfortunate people will experience a clog after the last person who used the toilet before them tried to flush the wrong items away. It is important to understand why a choke occurred so that you can prevent it from happening again in the future. However, it may be more pertinent for the time being to find a way to remove the choke. A plunger is among the most effective devices that can be used to clean a toilet. It is most effective at removing clogs related to excessive toilet paper and waste being flushed away. To use a plunger, you simply place the rubberized cup over the hole in the bottom of the toilet bowl to create a seal. When you apply pressure to the plunger with a gentle up-and-down motion, this will create suction on the toilet bowl hole. This suction power may be enough to loosen the clog so that it can be flushed away. After applying pressure in an up-and-down motion several times, you can lift the plunger away. If your efforts were effective at removing the clog, you would notice that the toilet water is slowly evacuated from the bowl. Flushing the toilet after completing this process may be needed to remove the clog from the line fully. In many cases, a plunger is an effective way to remove the clog. However, if the plunger is ineffective, it may mean that the debris clogging the toilet is too compacted to remove with suction, or it may be too heavy to be removed in this fashion. You can purchase a snake device at a home improvement store, or you can make your own by unraveling a metal clothes hanger. You just wind the snake slowly via the hole in the backside of the restroom, lightly wiggling or turning the snake as wanted. This process may push the clog away. In other cases, the snake may latch onto the debris so that you can pull it out. When these efforts are not successful, the next step you should take should be to contact a reputable plumber for assistance. 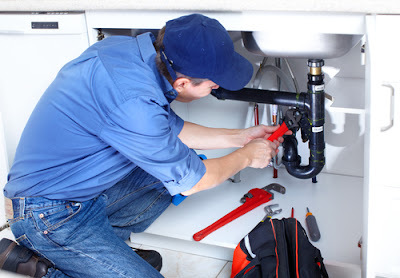 A plumber may utilize more advanced techniques and devices to remove the clog from the line gently. It is not hard to fix a toilet that has clogged. Just ensure the wanted tools are available. A few tools that may be required are gloves, plunger, a bucket, and bleach.